Hey out there today. I'm playing along with the Simon Says Monday Challenge but I didn't think I'd play along this time because I just don't have any little ones...until I thought of the bookmarks I make to put into birthday cards and figured it fit the theme. I die cut the bookmarks from watercolor paper and for the bookmark on the left I sketched and painted the leaves. For the bookmark on the right I die cut a fern and sprayed some easy tac adhesive to it so it stayed put on the bookmark and then painted the pink watercolor around it. 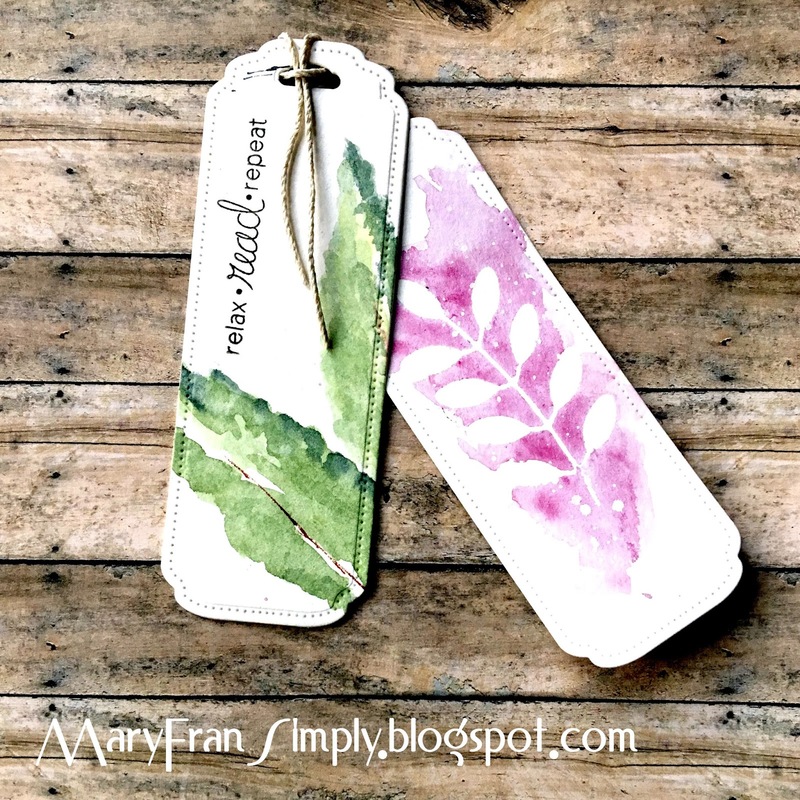 I stamped the sentiment on the front for the leaves and onto the back for the fern. Thank you for reading and the materials used are listed below.